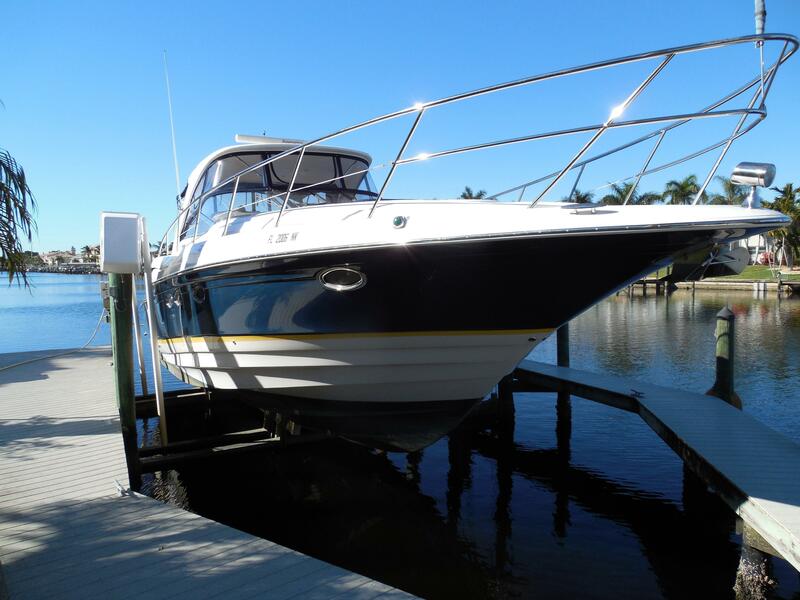 Great Express Cruiser with all the options: (2) Stateroom, (2) Heads, Hardtop with Complete Enclosure, Cockpit Air Conditioning, SeaKey Security System, Dual Raymarine E120 GPS/Chart/Radar. Powered with Twin V-Drive Volvo Penta Diesels with only 575hrs. Generator with Sound Shield with Only 130hrs.